Part of the allure of a comic con or fan convention is meeting artists, creators, writers and animators of some of your favorite programs, books, cartoons and films. Northeast Comic Con has a great mix of amateurs and professionals offering original works of art in many formats including comic, science fiction, fantasy, horror, mixed media, fan art, caricatures, crafts and 3D. The summer show June 18-19 welcomes many fan favorites. 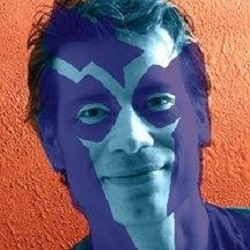 Philo Barnhart is a professional film animator who holds a very impressive resume. 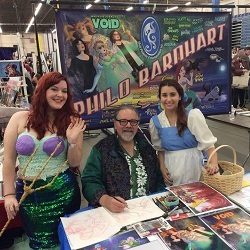 Over the course of his long career Philo has worn a number of hats in the film industry including key character design and assistant animation positions with Disney. Some of Philo’s work can be seen in films like The Little Mermaid, Beauty and the Beast, The Black Cauldron, and The Secret of Nimh. If you have ever wanted to talk with someone involved in the creation of some of the most timeless classics of your childhood, Philo is the guy. Steve Lavigne is an American comic book illustrator best known for his lettering and coloring on the Teenage Mutant Ninja Turtles title for Mirage Studios. He is the creator of Cudley the Cowlick, Sgt. Bananas, and Stump and Sling. Lavigne inked the backup story in the 1989 collected Tales of the Teenage Mutant Ninja Turtles. Lavigne, along with fellow Mirage Studios artist Ryan Brown, illustrated the artwork seen on the vast majority of officially licensed Turtles merchandise. 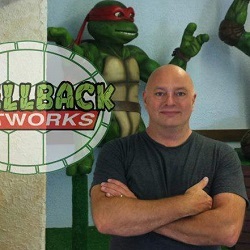 The team of Lavigne Brown produced Teenage Mutant Ninja Turtles art for Burger King, Pez, Konami, New Line Cinema, Colorforms, and Playmates Toys among many others. Lavigne was a participant in the drafting of the Creators’ Bill of Rights. He is also the basis for the character of Michealangelo, one of the Teenage Mutant Ninja Turtles, according to TMNT co-creator Kevin Eastman. Joe St. Pierre’s outstanding comic book career began in the early 1990’s as a penciler of Rai during the first era of Valiant Comics. Joe has also worked as a penciller/writer for Marvel, DC, Image, IDW and Dynamite. Joe is credited for numerous illustrations featuring Spider-Man and the Spider-Man family. And Joe’s current title, New Zodiax is quickly gaining popularity and critical acclaim. Many more artists will be added to the event in the coming weeks.